At 9:08pm on April 13 1970, astronaut James A. Lovell Jr, commander of Apollo 13, spoke the now famous words, “Houston, we have a problem.” If Lee Harvey Oswald hadn’t shot President John F. Kennedy in Dallas on November 22 1963, Lovell would have informed Cambridge, Massachusetts, rather than Houston, Texas, of his “problem”. After starting the race to put a man on the moon, Kennedy’s administration decided to build NASA’s headquarters in the President’s home state, Massachusetts, and earmarked Kendall Square – the area surrounding MIT – as the location. This was changed after Kennedy’s assassination when the new President, Lyndon Johnson, decided to rather locate it in his own home state, Texas. As they say: “History is just a long sequence of coincidences”. So … if Oswald hadn’t killed Kennedy, I probably wouldn’t be sitting in the lounge of The Kendall Hotel at this moment. Because it never became home to America’s space programme, the Kendall Square area of Cambridge, Mass., had an opportunity to follow a very different trajectory. It is now one of the world’s most concentrated areas for research-intensive technology businesses and startups. Google, Microsoft, Yahoo, and biotech giants Novartis and Pfizer are all in Kendall Square. The district’s website currently lists 62 biotech/life sciences and 61 IT/high tech companies as having offices in Kendall Square. My interest in this area stems from what it was like 30 years ago. Visitors to MIT in the 1980’s were advised to be careful about entering the area north of the campus, around the Kendall Square T-Station. It was a desolate landscape filled with old warehouses and dark corners. No-one would want to be walking alone in Kendall Square at night. Until very recently visitors to Wits University were given the same sort of advice about entering Braamfontein. I guess you can now see where this is going! How did Kendall Square – the decayed urban district of the 1980’s – become the prized real estate and high tech centre that it is today? 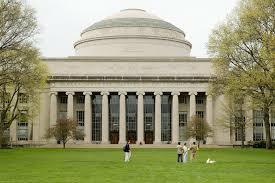 What role did MIT play in its transition? Can Braamfontein undergo a similar transformation? What can Wits do to make this happen? In my search for answers to some of these questions I have come to visit MIT and Kendall Square. It’s hard to see it now, but in the 1970’s MIT and its neighbourhood would have been at opposite ends of the spectrum. On the one hand there was the world’s top engineering university operating on its affluent, spacious and handsome campus on the banks of the Charles River. On the other hand we had a blighted, neglected and ugly inner-city district. However, there was something that Kendall Square had that MIT (or some of the Faculty members at MIT) needed – cheap and conveniently located space! The history of Kendall Square, as it is today, goes back to 1978 when Dr Phillip Sharp and some of his research collaborators decided to commercialise some of their research by setting up a company. They moved into an old warehouse in Kendall Square. The company they founded – Biogen (now called Biogen Idec www.biogenidec.com) became the first biotechnology company in the world. Other start-up companies followed creating a rich and innovative environment. As this happened technology companies from other parts of the USA and the world saw the advantage of entering this ecosystem, where ideas and skills were concentrated in growing numbers. The transformation of Kendall Square couldn’t have happened without MIT. At the same time MIT has benefited in a number of ways. Not least of these is that the University owns a great deal of property in the Square. I was told that income generated from its property portfolio is now a significant contributor to MIT’s annual budget. The other huge beneficiary of the development of Kendall Square has been the City of Cambridge that derives substantial tax revenue and reflected glory from the development of the district. And as for the lessons I’ve learned: Wits and Braamfontein are now at the same stage of their relationship that MIT and Kendall Square were at in the late 1970’s. With a little foresight and strategic engagement we could see the same dramatic transformation in central Johannesburg. Wits and the City of Johannesburg owe it to our future to ensure that this happens. An interesting aside: Dr Phillip Sharp went on to win the 1993 Nobel Prize for Medicine. Almost half a year has gone by since the most recent entry, also the temporal distance between the second- and third- newest entries has been very long, and — last but not least — only a small portion of all Blog entries are of direct and immediate software engineering concern; most of the Blog’s entries are more or less trade- or commerce-political comments. The working software engineer or computer programmer can hardly learn anything from those types of entries; throughout the Blog there is almost no discussion of new software engineering techniques, almost no discussion of new useful CASE tools or programming languages, etc. I’m guessing that the South African software engineering “community” is probably too small in numbers, such that the “critical mass” is not achieved which would be needed for a communicative “chain reaction” in an online forum such as this one.